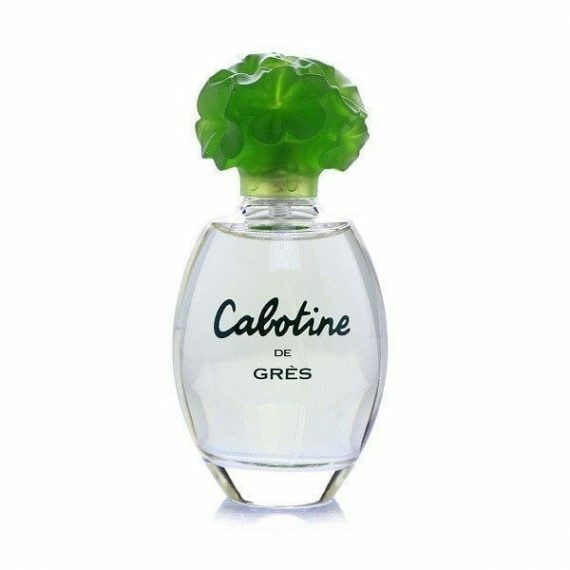 Cabotine Eau de Toilette by Gres is a feminine fragrance which is composed of top notes of Peach, Plum, Cassie, Tagete, Green notes and Coriander. The heart is formed by Ylang-Ylang, Rose, Tuberose, Jasmin, Heliotrope, Orris and Carnation notes and the base is made of Cedar, Vetiver, Musk, Tonka Bean, Amber, Vanilla and Civet notes. It has a distinctive fragrance which embodies love and enthusiasm. The predominant note is Tuberose and the scent is long lasting. 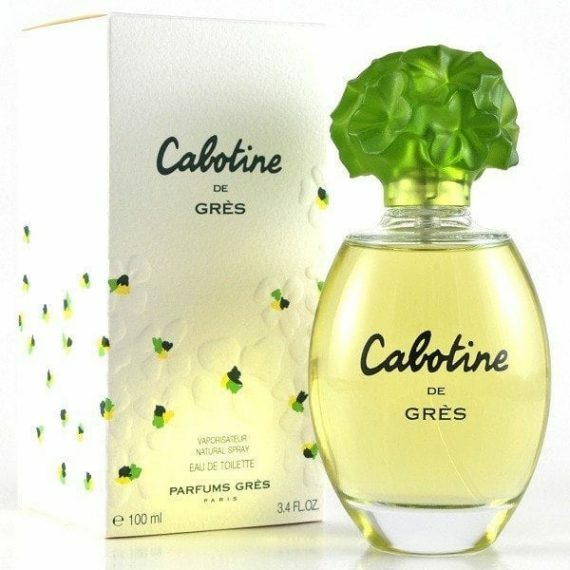 It was launched in 1990 and is available to buy as a 50ml and 100ml EDT contained within a glass spray bottle with a flower shaped green stopper.